At Portable Toilet Hire London we love to hear feedback from our clients. Here is a selection of Testimonials from our happy customers. 'I would like to pass on our thanks and appreciation to your efficient and reliable staff that provided portable toilets at our event on Sunday, and for the first class communication. Just a quick note to say how impressed I am with your company. I will definitely recommend you. The delivery and collection times were spot on and the driver was excellent as was your communication before the event. Apologies that this email hasn’t reached you sooner but today is my first day back in the office after our Victoria Park Run on Sunday. I just wanted to email to say THANK YOU for supporting the event, we have received lots of positive feedback from participants, so thank you very much for helping make the event for them and for me! The British Heart Foundation has made amazing progress, but cardiovascular disease still causes more than 161,000 deaths in the UK each year. Research is the most powerful weapon we’ve got, and for over 50 years we’ve funded studies that have revolutionised the understanding and treatment of cardiovascular disease. Through participants taking part in the events that we organise; will enable us to fund more world-class science, making discoveries happen, and turning them into medical advances that transform and save lives. I look forward to working alongside you again soon … please pass on my thanks to Shaun. We have been very pleased with the service we have had from you and I would have no hesitation in recommending your company to other sites. Used portable toilet hire London for a private event last week. Great customer service from start to finish. Definitely recommend them, wouldn't use anyone else! We used Portable Toilet Hire London for our event (Amba Hotels City of London Mile). Great delivery, clean toilets and nice people to deal with. We will definitely be using their services again next year and I rate them very highly. Thanks for your help. I just wanted to say thank you very much for your help this weekend. It was great working with you and I will be in touch about the next walk next year. Thank you very much for organising this for us! It all went very well! It was delivered on time and then collected! Very many thanks for sorting this out.... Much appreciated, especially at this time of year!! (Good will to all men!!) Looking forward to next year and shall be using Portable Toilet Hire London as usual!! Happy Christmas from us all. Thank you for supplying portable toilets for our event in Bow on Saturday. The service was very good. On behalf of Grace, Tim, the Idowu family and the Southwark Young Advisors I would like to say a massive thank you for all your help, kind donations, performances, and time given to make this years David Idowu Peace/10th anniversary event on Saturday a huge success. Without the kind generosity and support given by you and your staff the day wouldn’t have been as positive as it was. We truly appreciate all the support that was given before and during. From us all we thank you. Hello Peter, Thank you for your donation of toilet facilities during our winter shelter at the Ripple Centre. The shelter has now closed for the season but was a success, supporting the majority of guests back into permanent accommodation & work. Thank you once again for your massive help & kindness with this. I just wanted to say thank you for organising the delivery and collection of the portable toilets, the driver (who was very helpful) dropped it off at about half eight and which was a great help due to my time constraints and it was collected early Sunday so again my thanks and appreciation for organising such an efficient service. You were also correct as I was very pleased with the unit and in fact it was the talking point of the BBQ so I happily recommended your company to everyone concerned. Great service and found to be very efficient. A very happy customer and will definitely use again. Many thanks for a great job on the toilets this weekend, you provided a very efficient service and hassle free service. The festival was a great success and I will be sure to recommend you in the future. Many thanks for your great participation. It has been a great success: the sun was shining and everybody enjoyed it! We have appreciated the great portable toilet delivery on the day. We look forward to have you next year again! 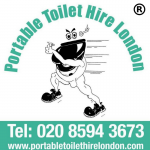 We have hired toilets from Portable Toilet Hire (London) Limited for the past few years. The best quality toilets, amazing service and great customer service. Toilets are always delivered on time and cleaned to a high standard. I would highly recommend this company if you are looking at hiring Event Toilets or Building Toilets. I have used other companies however I will be returning to Portable Toilet Hire (London) Ltd.
Just wanted to say thank you for all your help. We were satisfied with the service which was provided and it was a pleasure meeting you too. The event was a success and we are hoping that it will continue onto next year and will definitely be keeping hold of your details for any future events we might organise in London. Just a note to say "Thank you! so much for once again helping to ensure the success of the JDRF One Walk event yesterday. As ever we had a prompt delivery and collection service from PTH and we really appreciate your ongoing support of our work.